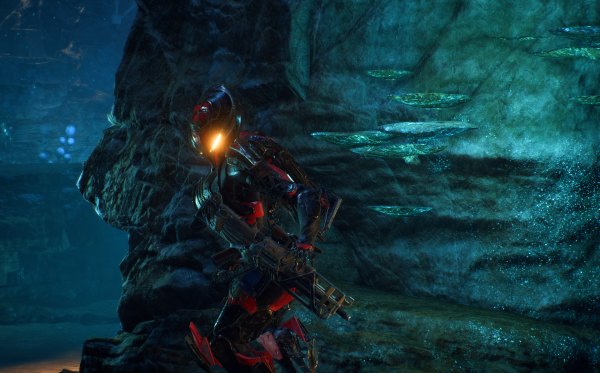 There’s more to Anthem’s combat than firing a high impact shot and using cool new abilities to defeat your enemies. When in your Javelin, you have a full arsenal of surprises up your sleeve and a powerful Ultimate Ability to boot. It makes sense then that you should be able to pull off a few spectacular Combos when playing in a team. Pulling off a series of successful Combos could be the difference between defeating a boss or your team getting wiped in one go, especially at higher difficulty levels. 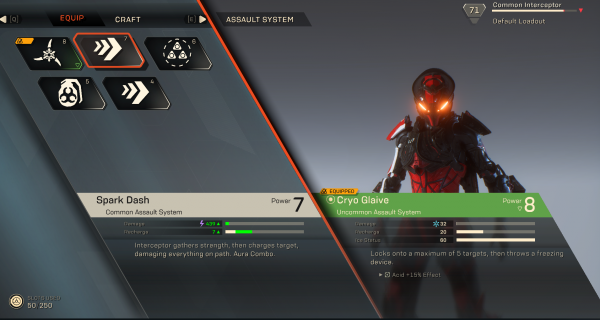 There is no in-game tutorial on how to master Anthem’s Combo system, so let’s look at each Javelin’s Primer and Detonator abilities and how to set up the perfect Combo. You’ll know you’ve managed to pull off a Combo because the world will appear and you’ll get an audio cue. But how do you set up a Combo? First, you’ll need to Prime an enemy. During a fight, look for the symbol that’s a circle within a circle on your HUD – that’s your Primer ability. The Detonator ability looks like a star. The Javelin that Detonates the Primer is the one that will cause the Combo to happen and as such will receive the Combo bonus. That’s not to say you can’t Prime and Detonate a Combo on an enemy yourself, but if a teammate comes in and Detonates your Primer for you, then they pick up the Combo Bonus. It’s worth noting that if an enemy is Primed and affected by an Elemental status effect like Ice, the Elemental effect will remain even once the Combo is Detonated. If you don’t plan on switching between Javelins throughout your playthrough, it’s still useful to study how each Javelin’s Primers and Detonators can work together. The Storm Javelin can use Elemental Storm as both a Primer and a Detonator, which spreads the Elemental effect to nearby enemies – I don’t need to explain how useful this can be in a pinch. Storm – Area of Effect: Elemental effects from the enemy hit by your Combo spreads to nearby enemies. Interceptor – Aura: An Aura that spreads the Elemental effect from the Comboed enemy to any enemies nearby. Ranger – Critical Target Damage: You’ll inflict increased damage on the Comboed target. Colossus – Area of Effect: A explosion damages the Combo target and nearby enemies. To put all of this into perspective, here’s a quick example of how different Javelins can work together. If a Storm were to lay down an Elemental Storm Primer, you could dash in, melee the enemy and knock out a Combo in a matter of seconds, before heading over to another group of enemies. The Storm’s Combo Effect spreads the Elemental effect to enemies close to where the Combo took place. As the Interceptor, you have an Aura ability where enemies near you will also gain the Elemental effect over time, meaning that you can inflict the Combo damage effect on another group of enemies. For more Anthem, check out our guides on how to complete the Tomb of Yvenia, how to unlock your Legendary Legion of Dawn items and gear and where to find all the Challenges.